The recalled Super Duty trucks were built at the Kentucky Truck Plant from Aug. 10 to Sept. 17 in 2016. Ford Motor Co. on Wednesday issued two recalls for roughly 9,400 vehicles in North America, including about 1,000 in Canada. The automaker is recalling over 8,000 2017 Super Duty trucks that do not contain a proper fuel tank strap reinforcement. Separately, it’s recalling about 1,300 2016 Ford Taurus sedans, 2016-17 Flex crossovers, 2017 Explorers and Police Interceptor Utilities and 2016-17 Lincoln MKT crossovers with leaky turbocharger oil supply tubes. Ford said it is not aware of any fires, accidents or injuries related to either issue. 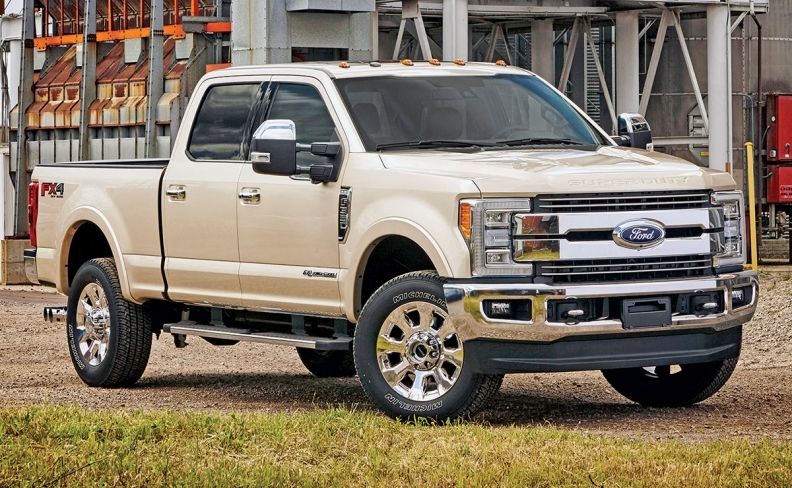 In the Super Duty truck issue, a missing reinforcement could lead to a fuel tank strap separating from the frame, resulting in the fuel tank moving out of position and potentially contacting the ground, increasing the risk of a fuel leak, Ford said. That could potentially lead to a fire. The trucks were built at the Kentucky Truck Plant from Aug. 10 to Sept. 17 in 2016. About 7,103 are in the United States, 964 are in Canada and two are in federalized territories. In the second recall, an improperly brazed turbocharger oil supply tube could leak engine oil, leading to the potential increased risk of fire. The affected Taurus sedans were built at Chicago Assembly Oct. 18-Nov. 2; the Flex crossovers were built at Oakville Assembly Oct. 18-Nov. 10; the Explorer SUVs were built at Chicago Assembly Oct. 15-Nov. 12; the Police Interceptor Utility were built at Chicago Assembly on Nov. 2; and the MKT crossovers were built at Oakville Assembly Oct. 18-Nov. 10. About 1,157 are in the U.S., 126 are in Canada and six are in federalized territories. In both cases, dealers will install the correct parts free of charge.